A brand new smaller chalet in Obergurgl, finally! 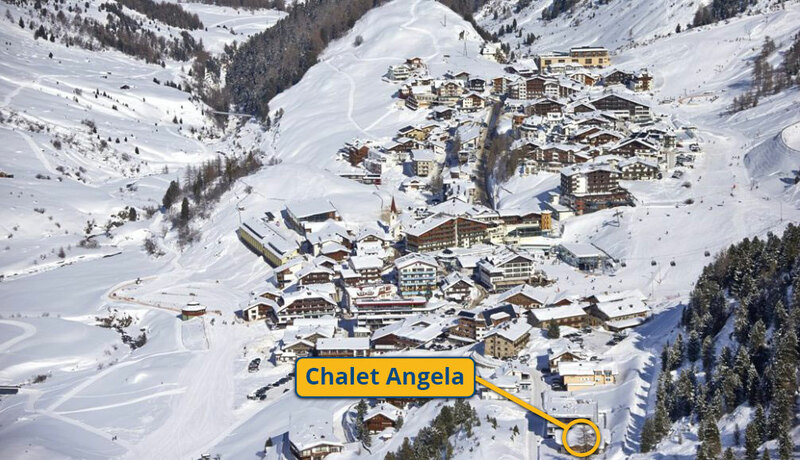 Chalet Angela is a brand new chalet in Obergurgl, fresh out of the box for the 2015-2016 season. 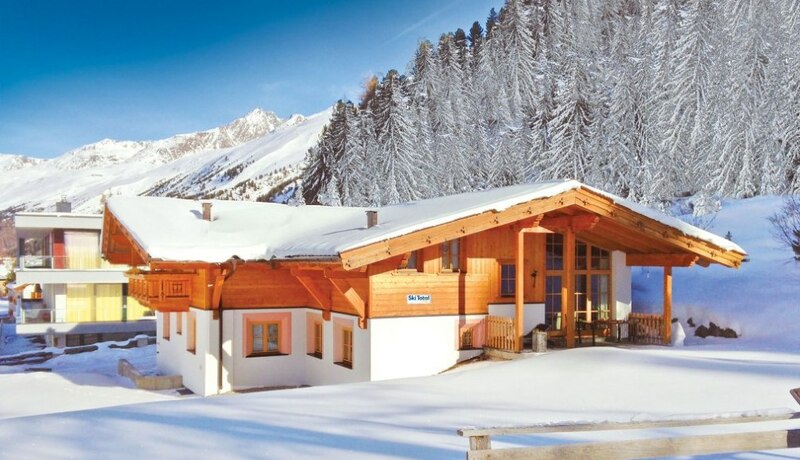 Larger chalets and hotels have been the norm in Obergurgl for decades but this is the first smaller chalet offering groups a chance of a sole occupancy property in this sought after resort. 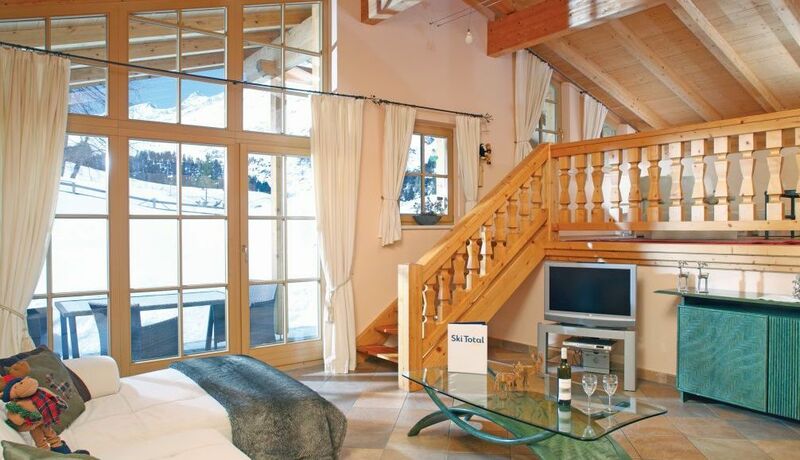 The chalet is well located, Hohe Mut gondola and Rosskarbahn chairlift are both 500m walk away. However, a minibus is laid on in the mornings and afternoons (one trip in the morning and one in the afternoon) to take guests to the lifts. You can also walk 4 minutes to the nearest piste, clip on your skis and glide down to the lifts. 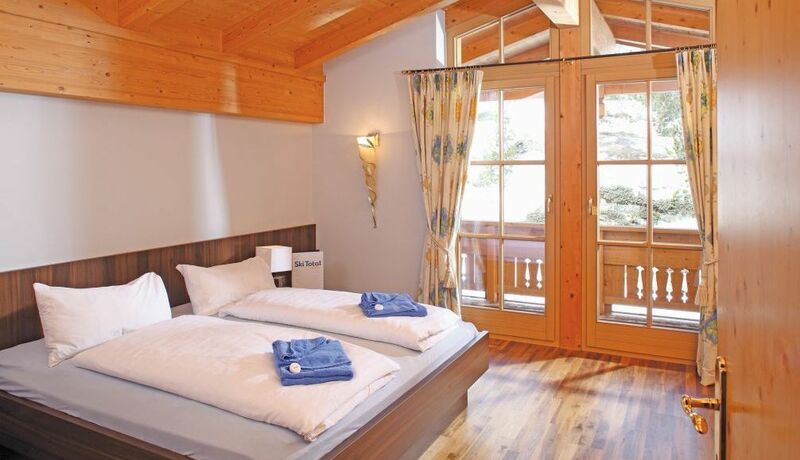 The chalet sleeps 6-8 guests in 4 rooms, the two rooms on the top floor are connected by a bathroom so only suit guests that know each other well! One room cannot be booked without the other. The living room is comfortable, with plush sofas and landscape windows to make the most of the stunning views. PLEASE NOTE – Children (12 years and under) are only allowed in this chalet if one party books the whole chalet or a peak week. If the chalet is not booked for sole occupancy and there are children in the chalet, the children will be served high tea and are not allowed to join the adult dinner. See below for exceptions and more info. Food is a feature of any ski holiday and very high standards for cuisine been set. With a hearty breakfast to kick start your day, a delicious afternoon tea waiting for you on your return from the slopes, and delicious evening meal with a choice of complimentary wines and coffee 5 days per week, all included, offering outstanding value for skiers. A fantastic choice of regional flights. Staff to welcome you at overseas airports. Helpful staff on your airport transfers. Staff welcome on arrival at your chalet. Cooked breakfast 6 days per week. Afternoon tea and always with fresh cake. 3-course evening meals for 5 evenings per week, inc. Prosecco and coffee. Choice of red or white quality bottled wines. Additional choice of rosé wine in Chalet Hotels, 5 Diamond Platinum chalets and our ‘Xtra’ Chalets. Traditional Christmas dinner with all the trimmings, including Champagne apéritif for Christmas holidays, plus a special festive menu on New Year’s Eve preceded by Champagne. Free Wi-Fi in every chalet & Chalet Hotel. A good breakfast is essential on a ski holiday, so provided is both a cooked breakfast including your choice of bacon, eggs, sausages and beans, as well as a continental selection with a choice of cereals or porridge, fruit juices, plentiful tea, coffee and bread (and croissants in France), cold meats, cheese and preserves, which is normally presented buffet-style for you to help yourself. On the staff’s one day off a week, only the continental breakfast will be provided. The traditional ‘welcome home’ after a day on the slopes will be laid out for you in your chalet or Chalet Hotel, ready for your return, every day except on the staff’s one day off per week. A good cup of tea or coffee is the perfect accompaniment to a delicious slice of freshly home-baked cake and keeps hungry skiers happy until dinner is ready. As an added benefit for guests in our Chalet Hotels, the chefs prepare a selection of cakes for afternoon tea. A three-course adult-only chalet dinner starts with Prosseco, followed by an appetiser, main course and dessert, and completed by coffee to round off your evening. Your choice of complimentary quality red and white wines is unlimited during the meal service, and freshly chilled water is also of course always available. If one group has booked the chalet for sole use it is assumed that children 12 and under will eat separately to the adults (High Tea at 5:30pm). Should the group wish children to join adult dinner it must be noted at time of booking. Children who have received a child discount must pay the meal upgrade charge of £39. If the chalet has not been booked for sole use by one group then children 12 and under are not allowed to join adult dinner and must have High Tea. Vegetarian options are always available in chalets if you advise us in advance. Other special diets can generally be catered for at a cost of £35 per person per week. Any dietary requirements must be advised at time of booking in order for the staff to be fully prepared. This one will fly out the door, Obergurgl is an amazing resort but up to this point, smaller chalets just didn’t exist. Get in there quick!